Sounds like a fun read! I should check it this out. You have a great teaser today... nice pick. I've heard Moonglass is good. Hope you're enjoying it! awwww, that's so sad. thank you for sharing the teaser! Great Teaser it makes me want to read the book and find out what happens in it. Very interesting teaser - makes you really think for a moment. Great pick for a teaser. I wonder how her mother drowned. Nice one. Looks like a great read. I love the water myself - and yes, it's symbolic of emotions. ;-) Appears like you'd enjoy the rest of your book. That's a great line in the book. It's on my TBR list. Here's my teaser. I love that - what beautiful prose! Now I've got to know more about her and her mother's story. Goodness. Such strong emotion in so few words. Very nice tease. My Teaser is from HOLD ME CLOSER, NECROMANCER. Whoa! That is an amazing teaser! 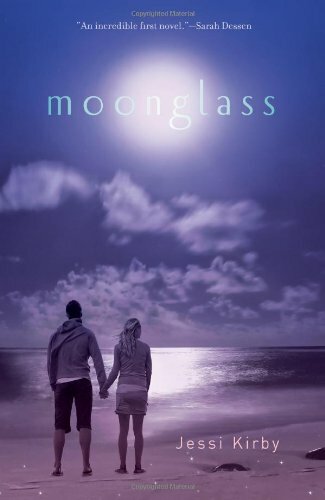 I've heard great things about Moonglass & now I really want to read it. Thanks for sharing!